Gorgon Quote: This is why whoever gets control of the MI must have money. First of all they need to have money to insure the building, because if bits are falling off they probably lose any damages claim should an incident occur. Trouble is how expensive is insurance going to be in the first place if there are that many problems, will they even be able to get the building insured? Then there are any urgent/essential repairs that will need to be carried out and paid for (could an insurance company demand repairs are done?). Whatever org/who takes over is unlikely to have the money up front, unless its big business of course and we all know how fast they (big businesses) have come forward to rescue the Mechanics so far. whether an orgs ambitions start large or small, once a contract/lease has been signed, it all has to start with insurance, who for instance is insuring it now? A new organisation starting out, will have no resources whatsoever and until they are a legal entity won't get funding or otherwise to pay said bills. Neither will they have any reputation to show funders of any kind whether or not they themselves are capable of managing the money. I dare say when push comes to shove the building management will be put out to a sort of tender process, for which very few will apply. Maybe the better option for it would be to be taken over/under the wing of the National Trust. Bob, please please don't let the issue of buses become an over-riding one. Large vehicles pass close to all kinds of old buildings all of the time in towns and cities all over the world. In fact, as large vehicles go, buses really aren't that big or heavy - and they certainly aren't going to be going at any speed close to the MI. I repeat, if anyone anywhere has suddenly become concerned enough to do anything about it in terms of a lane closure, it will be as a result of potential damage to vehicles caused by lumps falling off of the MI, NOT as a result of the concern for damage being done by vehicles to the MI! Damage caused by 'vibration' will be as nothing compared to the damage caused by weathering and decay through lack of maintenance. Just had a cracking email newsletter from the Charity Commission, that is relevant to the discussion about charity management on this thread, but for some reason I can't copy it over. If anyone wants a copy to swot up, please message me. Just asking one last time is there anyone interested in trying to get ownership of the MI on the cheap and then trying to build interest in it.. in a similar way to how Camden Market arose from dereliction? I have just re-stated my minimum bid for both plots..
SBC can always use their charge to block any sale, but then risk being challenged to take ownership. And the two previous owners could make a disguised grab for it again. Long shot but at least it is putting pressure on SBC to do something. To Bob Wright as a longstanding central councillor..
Have you heard anything about the MI on the council grapevine? Are there still no solid plans for the MI, just ongoing never ending investigations, etc? What will the council do with the charge? Block a sale or will they do what HSBC did and release the charge so the building can have a chance and be looked after by a CIC ltd or a even BPT? Would ask same question to R Buckland but asked him about the DigitalCity WiFiasko and he just bollocktics a lawyers 'nothing' reply. Not heard anything from him about anything happening in Swindon, just the usual bragging about jobs etc..
What do you think will be the response to a minimum bid for escheat property? Any odds? 1 to 100000 or 50/50? Seriously doubt I will be offered any part of the building, but will find it interesting what sort of response it gets from EH, SBC. Mr Singh did get planning permission for flats and did some of the permitted work, like installing PVC roof windows ! Just attaching the planning for anyone interested..
gOT A NEW REPLY TO MY foi, TODAY, IT STILL DOESNT MENTION THE FENCE AND COSTS, BUT ABOUT THE SCAFFOLDING IT SAYS IT APPLIED TO THE COURTS FOR A COST OF AROUND £87,000, BUT WERE ONLY GIVEN £48,000 SO THEY HAVE LOST AROUND £40,000 ON THAT, AND THIS IS WITH THE PRESUMPTION THAT THEY ACTUALLY GOT THE £48,000. Tobes I will try to clarify the current vibration issues however I am pretty clear about the guidance in the Conservation order. That was in the days when bicycles were the preferred choice of the rail workers who used the roads in abundance. Karsten/Tobes - A meeting is being set up as a follow up to the recent decisions. I will use this meeting to clarify, vibration, potential ownership rights. The ongoing costs for securing the building is a concern and I will try again to get a true cost. It is difficult to see how these ongoing costs can be recovered. Debt recovery or Loan recovery seems to be an underlying issue for this Administration. It was interesting at last nights Scrutiny Committee how once again the North Swindon 106 money loaned to South Swindon has still to be paid back. This has left North Swindon short of money to fix its parking problems let alone hard standing for bus stops. Karsten perhaps trying something along the lines of what WBCT are doing to raise cash to buy a disused pub might be an idea? Gives an answer to why the scaffolding is still there.. It can't be leased, it must have been bought as it does support the roof, but on the inside. Shows how insane and crap ScS were in their Urgent Repair. In my opinion they were vandals and have done more damage than anyone. If the roof fell in where this gaping hole is then it was the extra weight of those tin roof scaffolding beams. I dread to think what recent weather has done inside. The north part must be soaked and rotting from within. The roof is missing on the other side too.. but uploading photos takes a while. What is more worrying is that where the roof is missing so are the plate girder roof trusses. These must have been removed in part by ScS, I seriously doubt they have collapsed by them selves. The roof boards maybe, but not plate girder roof trusses. How the hell did they think that a 150yr roof would support all that scaffolding which is their tin roof. I will lodge a FOI and ask who was responsible and who was engineering responsible. Whether any loading calculations were made prior to starting and for the date when the collapse happened. How it looked before ScS and their Tin Roof vandalised the roof. The before photo is when the Mr Singh's tarpaulins were removed prior to the Tin roof install so people had walked on the roof to remove the tarpaulins. You can see walkway scaffolding is still partially there tho some seems to have been removed or fallen down? The roof collapse has been covered up in more ways than one. Turns out the mechanics trust haven't met since May, and these are the people who'll supposedly rescue the MI. They don't want the MI to go on to the open market, well there's a surprise, perhaps if they'd bothered to raise a half decent amount of money they might be in the position to actually pay for it. 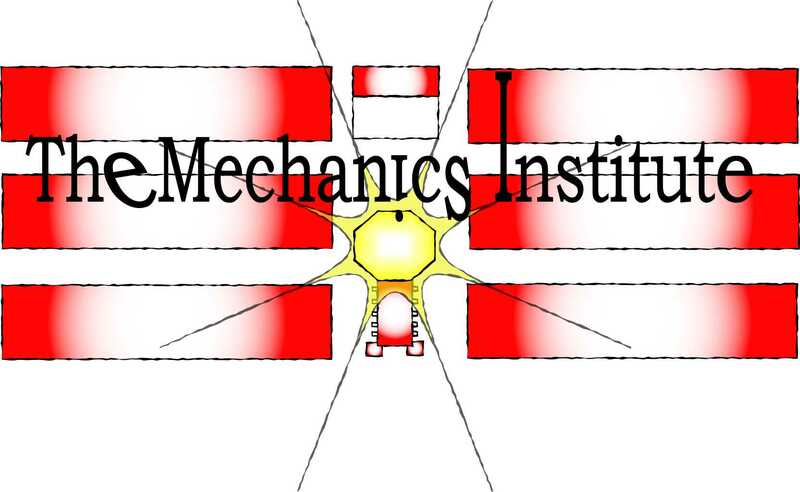 Adver quote "CONCERNS have been raised about the future of the Mechanics’ Institute as a group charged with deciding it's use has not met since last May." This does not say that the Mechanics Trust have not met since May, it says 'the group' deciding it's future has not met since May. But there is Daniel in the Adver raising awareness of that fact. Again, the Trust itself cannot raise money to buy it, well not unless it start's holding some big jumble sales etc. They will not be able to get 'funding' for it until it comes into public ownership of some kind. They wouldn't know how much to raise unless someone puts a price on it and the For Sale signs go up. And of course they don't want it to go on the open market. Just to stop even more speculation. After chasing the TSOL and then their solicitor I got a reply (pasted below). It shows that SBC in practical terms and in responsibility already 'own' the building but are not keen for that to be known. Any sale would have to be accepted by SBC as the ONLY charge holder, therefore SBC have POWER OF SALE. So could easily sell it for any price they wish.. Hmm what is that the sum often banded about? I'm going to propose a CIC ltd company solution similar to the one I offered in 2000/02. I'll bid £1000 for the building, then form a CIC company which will offer an initial share release of 1000 shares at £250. I'll put in £9000 for 45 shares. The CIC will have an unpaid board of 10 share holders (Elected every year). The CIC will have a life of only 14 yrs and will offer the building for sale with priority given to largest lease holder, SBC for 90% of official value at time. I will remind SBC of the roof damage and ongoing costs and liabilities which will increase if/when EH issue Urgent Repairs on SBC. Karma. Such a company would release SBC from liabilities and allow grants and other funding (selling shares in MI). The idea is to turn on the Light again in the Mechanics and attract interest from relevant people/companies. Remember Camden Docks Market started a bit like that 30 yrs ago and turned Camden from a run down area of London into one of the most visited. Thank you for your e-mail of 12 February 2014 and we note that this is a difficult and sensitive matter. The following will explain the general position with regard to this unusual area of the law. Following the disclaimer of the Property by the Treasury Solicitor, the Property may be deemed subject to escheat to the Crown at common law. By longstanding convention, properties that are subject to escheat fall to be dealt with by The Crown Estate, for whom this firm acts. In accordance with legal advice given on previous occasions, The Crown Estate does not propose to take any action which might be construed as an act of management, possession or ownership in relation to the Property, since to do so may incur upon it liabilities with which the Property is, or may become, encumbered. Neither this letter nor any other correspondence passing between us should be construed as such an act. It follows that The Crown Estate will not insure or manage the Property. A disposal of such interest as The Crown Estate may have in the Property to an appropriate person or body is not, however, out of the question. The Crown Estate's policy in situations where property may be deemed subject to escheat is that persons who may have a legitimate interest in the future of the property or who may be adversely affected by its sale should be given the opportunity to participate in its purchase. We would therefore expect to see evidence that appropriate consultation has been carried out prior to any sale, although unanimity of agreement of all consulted parties is not a prerequisite for a sale. We are willing if necessary to discuss with you how consultation should be carried out. Any disposal would be subject to any mortgages, legal charges or other encumbrances which might exist against the former freehold interest in the Property. Please note that there does appear to be legal charges and equitable charges in favour of Swindon Borough Council (the "Council") referred to on the former freehold titles. Unless the Council are prepared to release their charges over the Property, then any disposal by The Crown Estate would be subject to the charges. As an alternative for seeking a disposal from The Crown Estate you may wish to consider contacting the Council in order to investigate whether they would be prepared to sell the Property under their power of sale. The reason for this is that a purchase from the Council under a power of sale will be free from all charges and encumbrances registered after the date of their charges which is something that The Crown Estate would be unable to do. In accordance with legal advice given on previous occasions, The Crown Estate does not propose to take any action which might be construed as an act of management, possession or ownership in relation to the Property, since to do so may incur upon it liabilities with which the Property is, or may become, encumbered. It sounds like the building is in limbo. If the building became dangerous or in need of urgent repair is anyone responsible for it? If not, the Grade 2 listed status doesn't seem to protect the building. Could it just be left to fall down? Well I think legally EH could force SBC to do Urgent Repairs, but EH have never have forced a Council as far as I know of. So in practice, yes the building could be left to fall into further disrepair, until say part of the ScS tin roof blows off or some masonry falls. There is also the danger of it being set on fire (Locarno & Wroughton Barn). The building won't fall down, but rather become a ruin. Of course SBC/ScS is part responsible for the roof collapse even tho it is Mathew Singh who took the tiles off. So would it have been better to have a Matthew Singh style hotel etc or the derelct structure we have today? The first post on this thread is dated 2006 so 8 years has passed and where are we exactly? Consider the next phase of the Kimmerfields project is scheduled to be started in 2016 that's only another 2 years away! So would it have been better to have a Matthew Singh style hotel etc or the derelict structure we have today? Absolutely yes it would Des. Page created in 0.379 seconds with 28 queries.